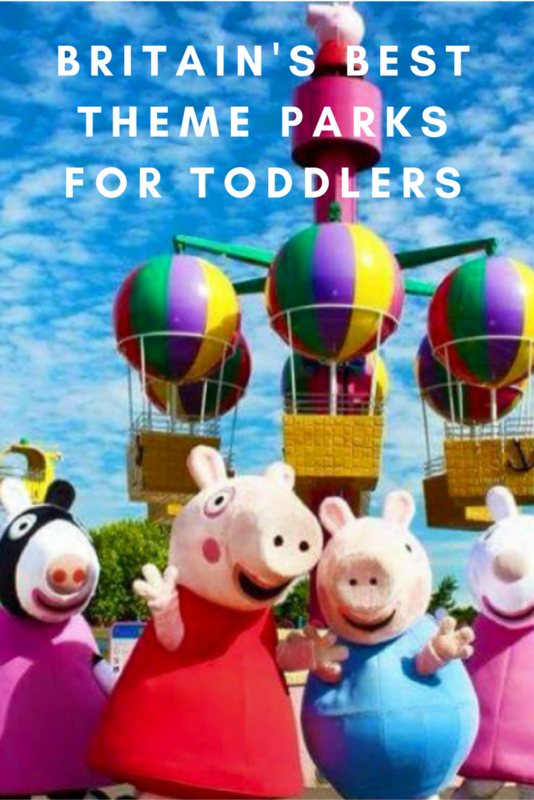 An essential guide to the best theme parks for toddlers in Britain from days out at CBeebies Land to Peppa Pig world and Thomas Land. A dream day out for toddlers meeting all their favourite characters’ and helping them out with their important work. Toddlers can ride on the Octonaut’s roller coaster, deliver parcels with Postman Pat, or float on a boat through In The Night Garden. New for 2017 is the Go Jetter’s Vroomster Zoom ride and The Furchester Hotel Live. For an extra treat, stay at the new CBeebies Land Hotel with special themed rooms. Search for Gem’s jewels in a Swashbuckle room, explore In The Night Garden, have a deep sea adventure with the Octonauts or visit Postman Pat in Greendale. 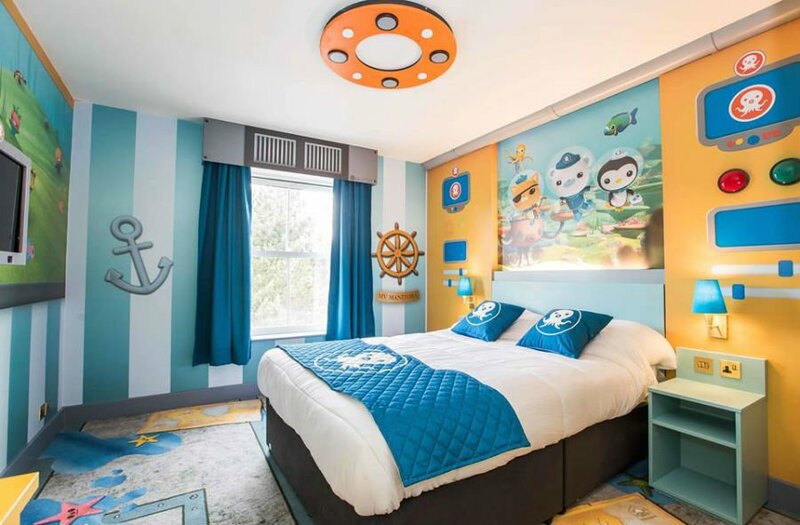 All rooms in the CBeebies Land Hotel have a separate area for children and parents, and include an entertainment wall with interactive play items. 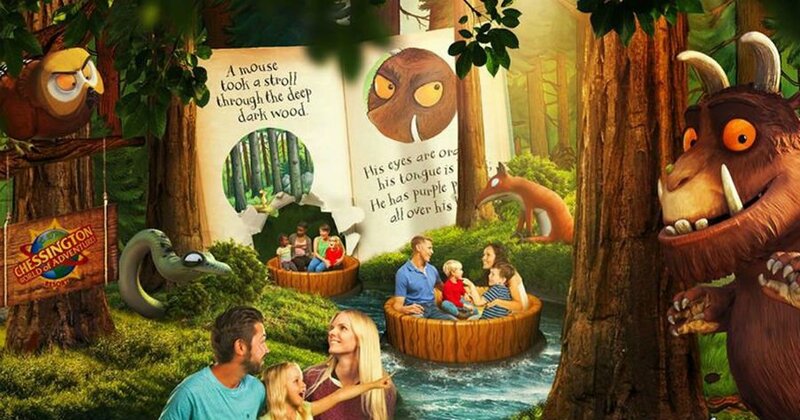 There are 18 rides for toddlers at Chessington World of Adventures, including the new Gruffalo River Ride Adventure, where you can join Mouse on a magical riverboat journey through the deep dark wood. There are also live shows, the famous Chessington Zoo and the Sea Life Centre. Great value toddler tickets are available at just £21 for an adult and pre-schooler. Children under 3 are Free. Treat Gruffalo fans to a stay in one of the fully themed Gruffalo bedrooms at the Chessington Safari Hotel. Stays include a 2nd day in the theme park for free, fast track access to the Gruffalo River Ride Adventure, Gruffalo films in your room and meet and greets. All stays at the Chessington Resort Hotels get free access to the Savannah Splash Pool. 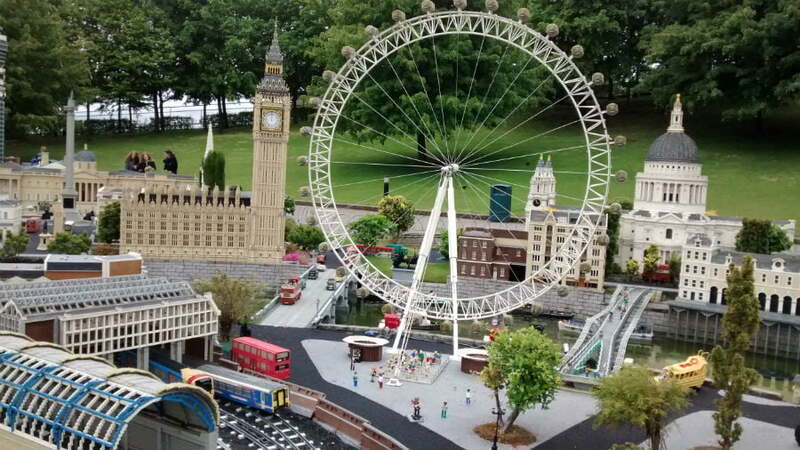 Whether you are a Lego fan or not, a day out at the Legoland Windsor resort is an amazing theme park for toddlers. 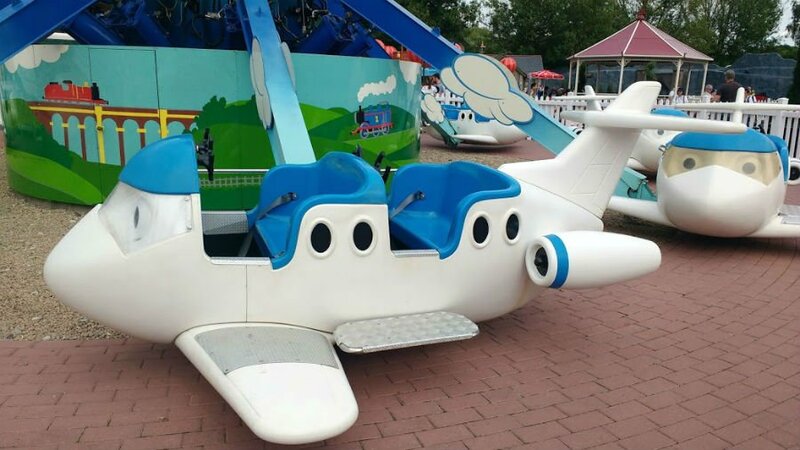 A lot of the rides at Legoland Windsor have height restrictions of over 90cm, but there are lots of rides without any height restrictions which are suitable for babies and toddlers. Some of these include Desert Chase (merry go round), Aero Nomad (ferris wheel), Fairy Tale Book (boat ride), Orient Expedition (train ride) and Balloon School (sky ride). Find out everything you need to know about taking a baby or toddler to Legoland. 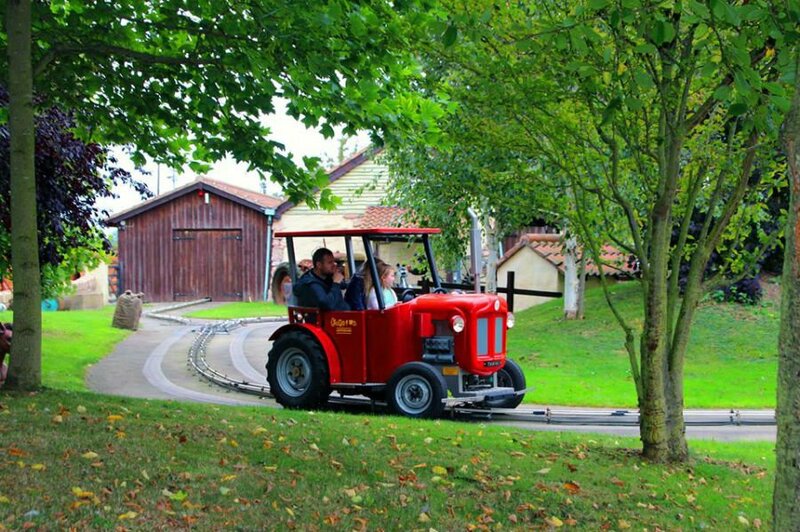 Legoland Billund in Denmark is also great for toddlers. 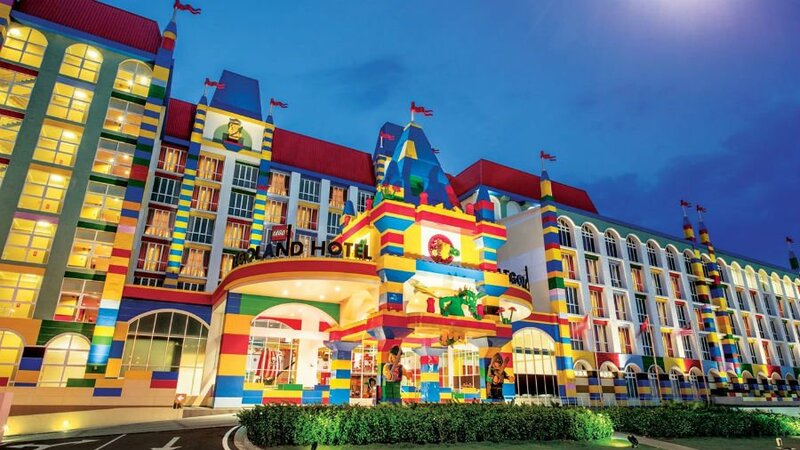 Legoland Holidays arrange stays at the Legoland Resort Hotel and nearby family hotels. All their stays include overnight accommodation, breakfast and 2nd day entry into the Legoland Resort. Santa Sleepovers and School Holiday specials are available. Prices from £150 for a family of 4. Peppa Pig World is located within Paulton’s Park in the New Forest, Hampshire. Peppa fans will love riding a car with Daddy Pig, flying the clouds of Windy Castle or taking a flight on Miss Rabbit’s Helicopter. You can also see Peppa’s House, School, Campervan and the paddling ducks! Don’t miss the Muddy Puddles water splash area, George’s Spaceship Indoor Playzone and Mr Potato’s Playground. There aren’t any onsite hotels at Peppa Pig World, but Sandy Balls Holiday Village is just a 20 minute drive away. 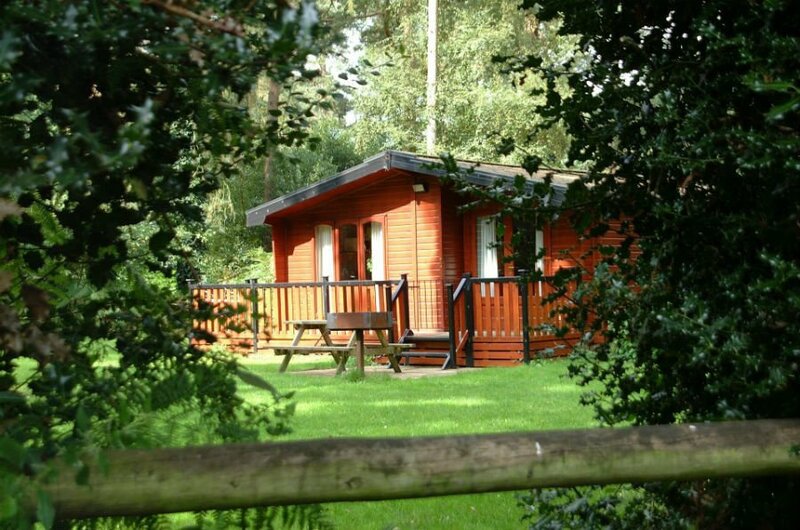 This 5* holiday park has luxury lodges, caravans, camping pods, tents and pitches along with a indoor and outdoor heated swimming pool, playground, bike hire, Spa, Gym, indoor soft play and nightly entertainment. 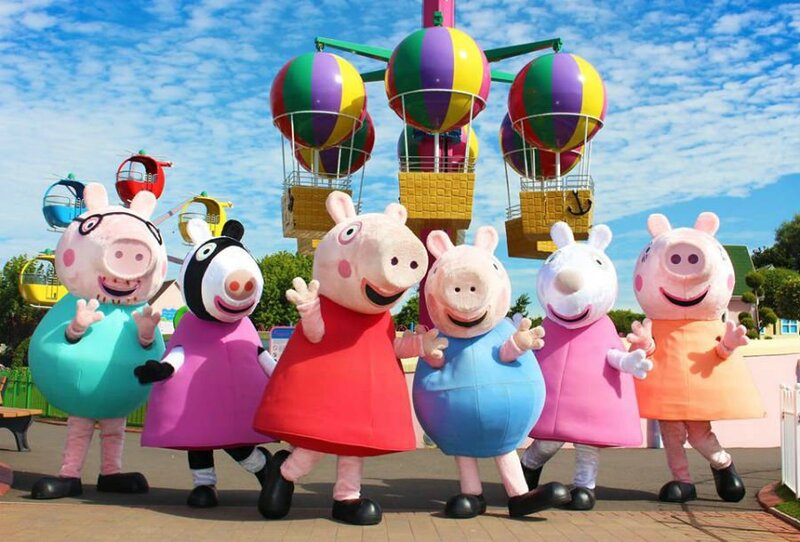 Other places to stay near Peppa Pig World include the highly recommended Oakdene Forest Park in Dorset or Hoburne Bashley holiday park which is about 35 minutes drive away. The Premier Inn Southampton West is 0.8 miles from Paultons (less than 5 minutes’ drive), and has an outdoor play area and Wacky Warehouse. Saver rooms are available from £31. Thomas Land at Drayton Manor has over 25 rides and attractions for Thomas fans to explore The Island of Sodor. Meet Bertie Bus, fly on Harold’s Helicopter Tour or go on Cranky’s Tower Drop. Thrill seeking toddlers’ will love going on their first rollercoaster riding on the runaway Troublesome Trucks. They can also go on a Rocking Bullstrode or learn to drive tractors at Terence’s Driving School. Top Tip – Look out for special Parent and Toddler tickets for term time visits, which cost £20 for a parent and a child. Also, you can pay for your Thomas Land entry tickets using your Tesco Clubcard. Where To Stay At Thomas Land? Stay overnight at the onsite Drayton Manor hotel, and get overnight accommodation, breakfast and tickets to Thomas Land. Thomas themed hotel rooms are available too including a Thomas themed goody bag and character breakfast. Prices start from £150 per family. There is also a Camping and Caravanning Club next door to the theme park if you want to bring your own caravan or tent. Gulliver’s have 3 theme parks which are specifically designed for children aged 2 – 13. With over 60 rides and attractions and 50% of the attractions under cover, there is plenty to do a Gullivers even if it rains. 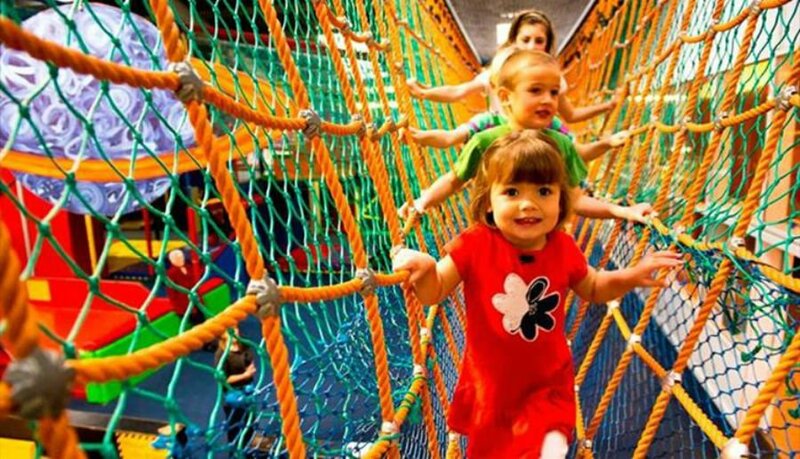 There are loads of rides for Under 5’s as well as a play area, indoor soft play, tractor driving academy, sand play and even a Fairytale academy at Warrington Gullivers. Top Tip – Check out the website for details of special Toddler Day special tickets. 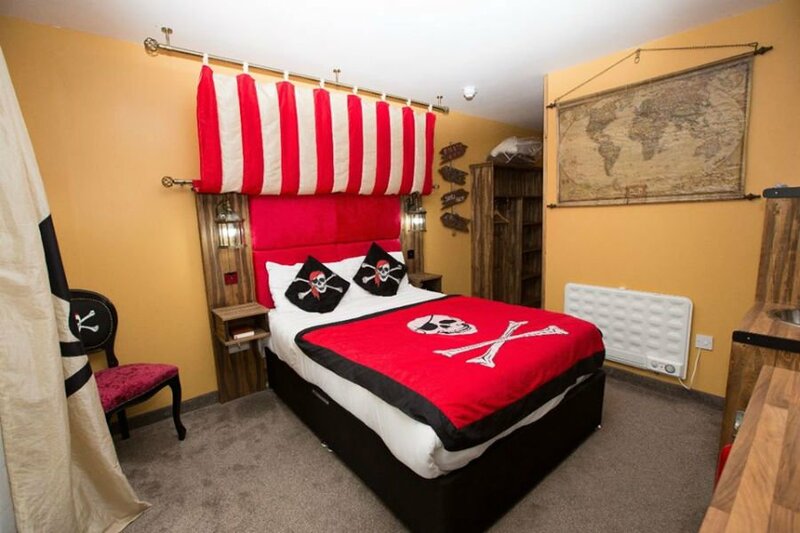 The Explorers Retreat at Gullivers Matlock Bath has pirate cabins or fairytale suites a few steps away from Gullivers Matlock Bath. At Milton Keynes, the Adventurer’s Village has dino dens, and jungle safari tents which includes entry to Gulliver’s Land, Dinosaur and Farm Park and also the Splash Zone. Gulliver’s Hotel at Warrington has themed rooms including a Swizzels Sweetie Suite. One for digger mad toddlers (and parents!). 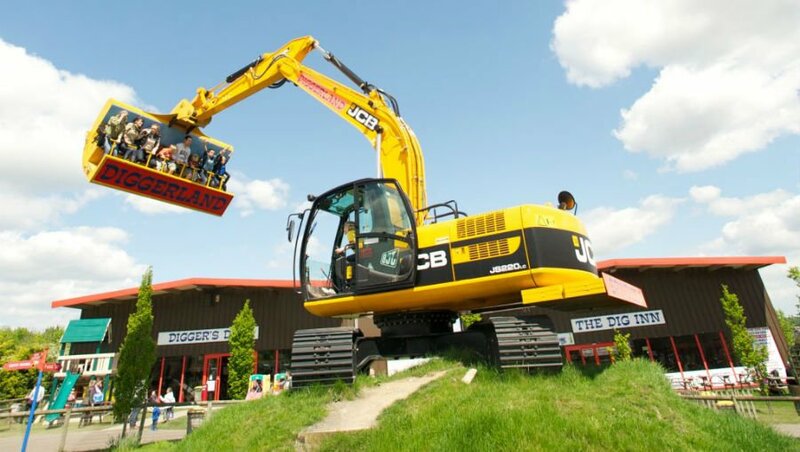 At Diggerland, you can having loads of fun playing with diggers in all shapes and sizes. Toddlers will love being able to operate a digger, dig big holes, play hook a duck with a digger, get spun round in the air by a digger, go on a digger train, drive a dumper truck, and even drive one through loads of mud and water (fantastic fun!). 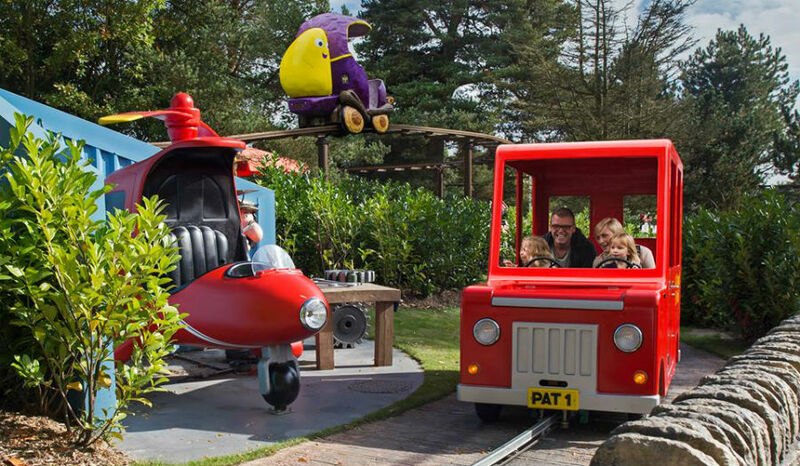 Don’t miss a day out at Crealy Adventure Park if you are looking for a theme park for a toddler in Devon. There are over 60 rides and attractions at Crealy, plus lots of cute cuddly animals to see! Toddlers will love the Dino Dig, Junior Driving School, Sea Cups as well as getting wet in the Soak Zone splash park. There are also lots of outdoor play areas and a soft play in case it rains. Crealy Meadows is located next to Crealy Adventure Park, and even has a secret access for visitors to get directly to the park. There are luxury lodges (some with hot tubs! ), glamping and even a camping and caravan site. Flamingo Land is a theme park, zoo and resort in Yorkshire. 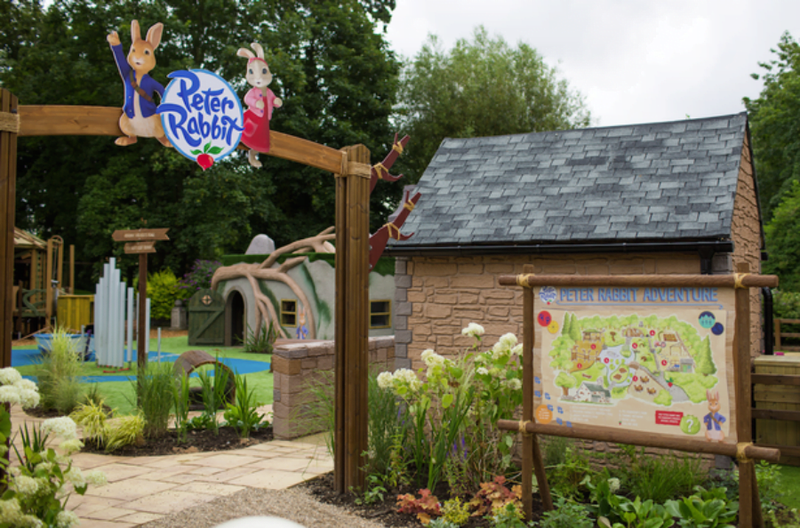 One of the best things at Flamingo Land is the brand new Peter Rabbit Adventure attraction, where toddlers can help Peter Rabbit find Pig Robinson’s Brussel sprouts, join Peter, Lilly and Benjamin in their Secret Treehouse and try out Benjamin Bunny’s Treetop Trail. There are also giant instruments (at Jeremy Fisher’s musical pond), and an art master class at Pig Robinson’s Farm. Toddlers can even crawl through tunnels in Lily Bobtail’s Nature Discovery and find creepy crawlies in the Bug Log. Discover the best places to stay in Yorkshire with babies and toddlers. 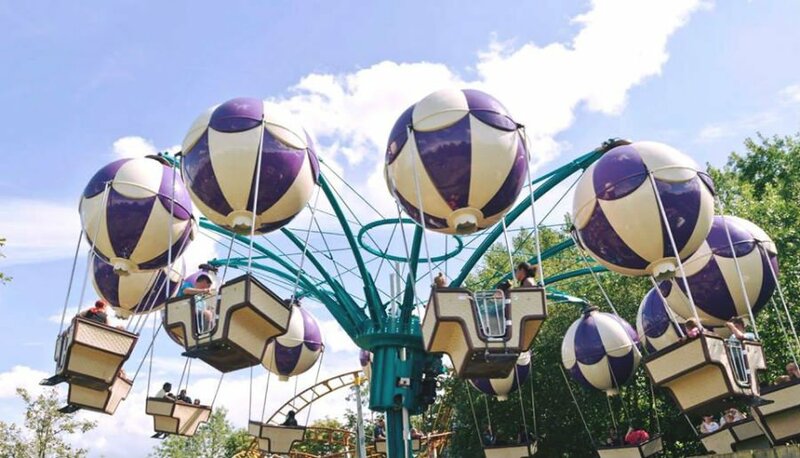 Sundown Adventure is a theme park designed specifically for Under 10s in Nottinghamshire. There is an Angry Birds area, Rocky Mountain ride, Toy Town, Tractor Ride and Captain Sandy’s Play Cove to entertain toddlers. New for 2017 is the Ostrich Safari ride. Don’t miss the Santa Spectacular at Sundown!